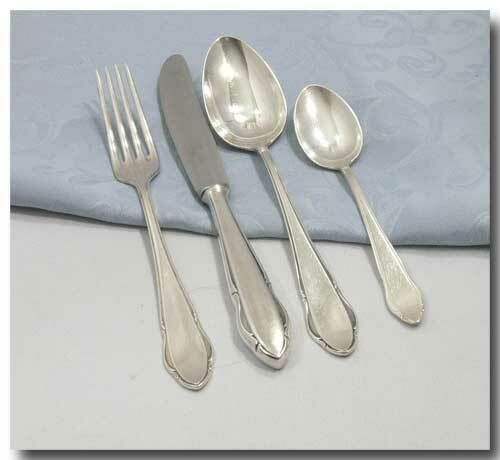 A lovely set of the WMF 2900 Pattern consisting of the following pieces: 6 knives, 6 forks, 5 soup spoons, 6 salad/dessert forks and 6 teaspoons. 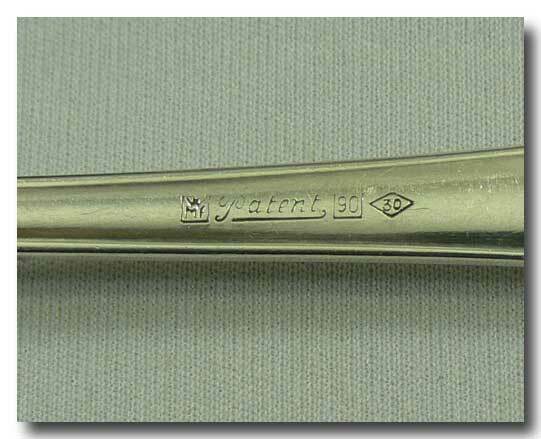 Markings include “WMF” for the renowned German manufacturer of silver, silver plate and later, stainless steel. 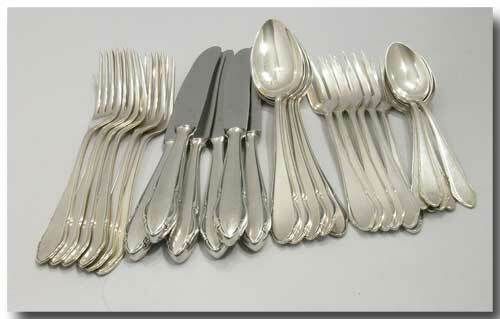 Other marks include “90” representing the # of grams of silver used in the plating process and “30” on the soup spoons, “18” on the knives, “30” on the forks, “18” on the Salad/Dessert and “18” on the Teaspoons representing the # of grams of silver used in plating any 12 of those items. Established in Germany in 1853 WMF has long been known & respected for the design and quality of it’s products. Forks 18.5 cm/7 ¼” L.
Soup spoons 18.5 cm/ 7¼” L.
Condition Statement: This cutlery may show some signs of wear such as minor scratches but this is to be expected in items that were used at one time. I will however, point out any other defects such as bending, pitting or silver loss and if not mentioned above then the items may be presumed to be in very good to excellent used condition.